Maybe it's just me but I think you're going to love our next road trip, it is time for you to take a drive to the circus, let me explain. A few years back after a trip to the Finger Lakes we stopped in Saratoga Springs on the way back to New Hampshire. While browsing in the shops along main street, we were getting hungry. We asked one of the local merchants for a recommendation for lunch and she suggested the Circus Cafe. The name threw me off and I was hesitant at first. After much deliberation due to the fact that there are so many restaurants lining the streets of Saratoga Springs we decided to give the Circus Cafe a try. 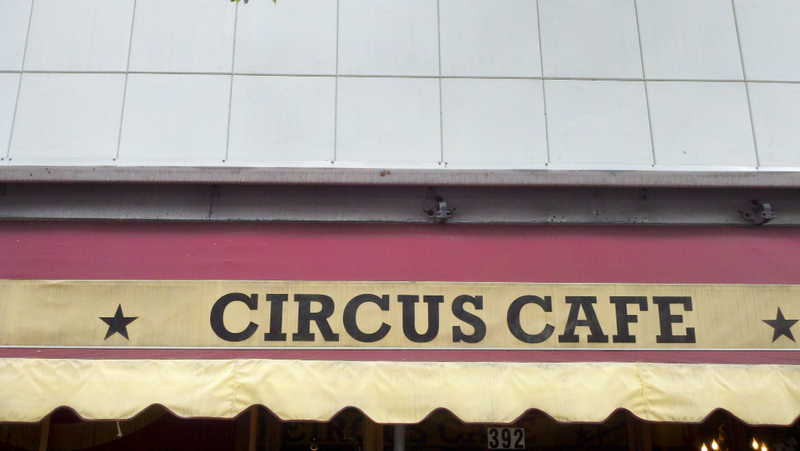 Needless to say we have been back to the Circus Cafe a number of times since then. It really is one of the most interesting restaurants we have found. 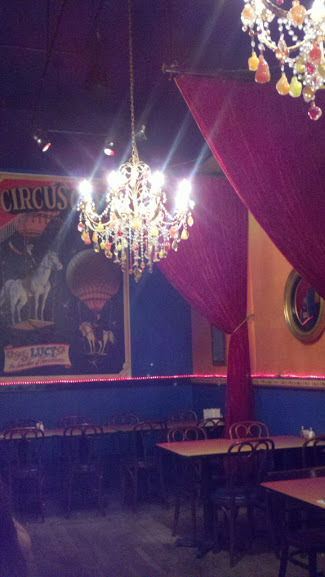 Don't expect to find trapeze artists and elephants running around but they have added enough to turn this into one of our favorite restaurants. There are hints of the circus throughout, if you are a fan of the circus you have to go and if not you will still enjoy lunch at the Circus Cafe. 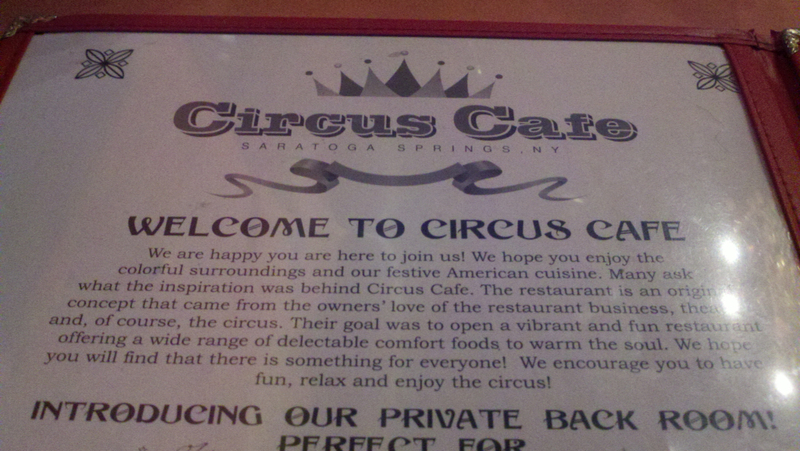 Their menu talks about how the Circus Cafe came to be. 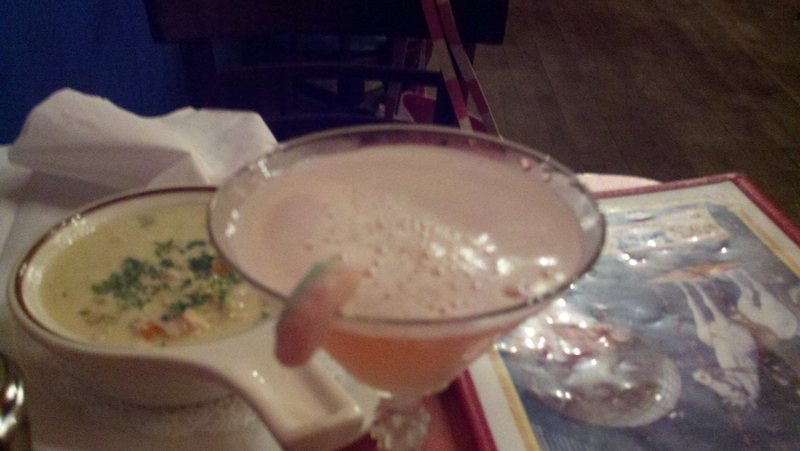 Watermelon Martini, it was delicious. 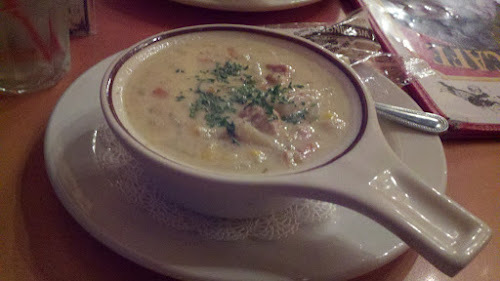 Clambake Chowder, as good as any New England chowder you will ever eat. This will give you an idea of the interior. After stuffing yourself here are a few suggestions of things to do in the area. For shopaholics, check out the boutiques in downtown Saratoga Springs. If you like horse racing head for Saratoga Springs Race Track.